I'm using your component and I found a problem that I don't know how to fix !! 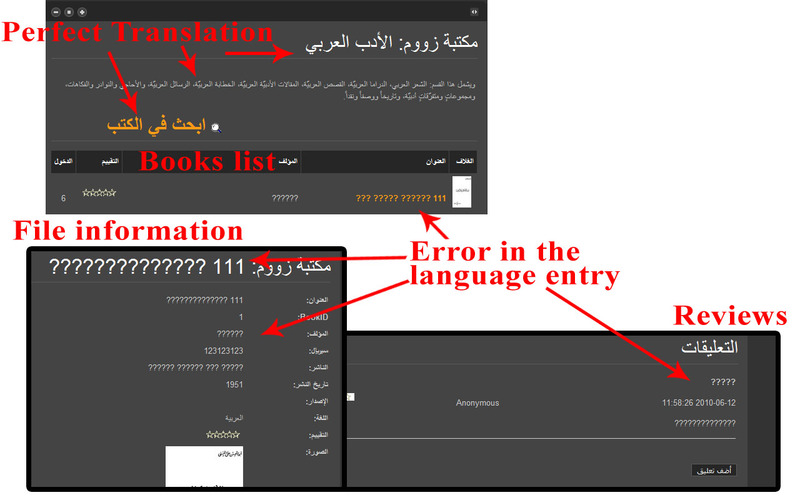 the Arabic language is compatible with your component (I tried to change the language file and its work perfect),all things work fine except the book information like title and author and publisher and title link, please let me know how to fix this problem. I think there is something wrong with inserting text to the database. I attached the image that explain the error ! All look like you have problems with "Collation" for yours database tables for BookLibrary.